The United States has been hit with a record-breaking storm and across the country, many people are digging out. 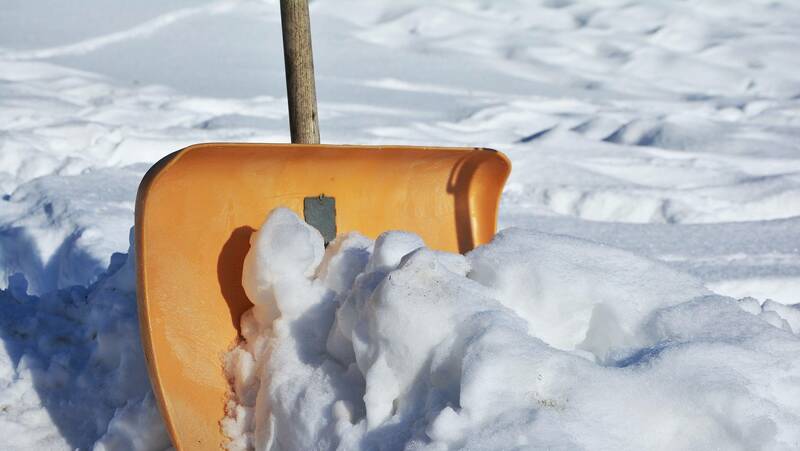 Shoveling the driveway can be a great form of exercise, but you have to be careful. Each year, countless people suffer heart attacks and other serious conditions when shoveling snow. Fortunately, there are some steps you can take to stay safe. Let’s go over those. Like most athletic workouts, you need to prepare. That means stretching your muscles out. The back, legs, and arms are all going to be put under a lot of strain. So stretch them out! Remember what they say about not eating at least a half hour before swimming? Actually, that’s often fine if it’s just a casual swim. However, if you’re going to be engaging in any intense exercise, including shoveling snow, you should skip eating right beforehand. You should also not smoke while shoveling. It might seem relaxing, but it’s also dangerous. If you don’t use the proper technique while using gym equipment, lifting weights, performing yoga, or anything else, you could injure yourself. You can even injure yourself by kicking a soccer ball wrong! Technique is a serious concern when it comes to any athletic activity. The same is absolutely true when it comes to shoveling snow. First off, you should rarely be lifting when shoveling snow. Instead, you should be pushing the snow with the shovel. Sure, you might have to lift occasionally to move snow out of the way. But much like American football, snow is a game of inches. Push and lift only a little bit of snow at any one time. And when you do lift, make sure you lift with your legs rather than your back. Further, like any exercise session, you need to know your limits. Pay attention to your heartbeat, breathing, and all the rest. If you overexert yourself, you run the risk of suffering a serious injury or condition, such as a heart attack. Even with the best techniques and preparation, muscle and joint injuries can still occur. Fortunately, you don’t have to simply suffer through the pain. If you suffered a muscle or joint injury while shoveling snow, you can use an all natural pain relief cream to provide instant relief. The next blizzard could be rolling in soon, so it’s important to heal yourself as quickly as possible. Natural muscle and joint healing kits may help you get back into shape more quickly.